Weybridge Imperial Golf Estates Condos: Priced below appraised value and some of the best views in Imperial! Move-in ready, care free living in one of the most sought-after gated golf communities in North Naples - Weybridge in Imperial Golf Estates. New roof in 2018! New impact windows in 2018! New AC in 2019! New paver drive to be installed in April. Enjoy your golf course and water view while relaxing on your patio. Beautifully landscaped. Weybridge has both tennis and pool activities for the active lifestyle. This unit has a extended bonus room off the master bedroom giving you additional space for crafts, exercise or whatever hobby you have. Lots of large closet space and plenty of natural light from all sides. This home offers the best of both worlds: spacious single family home with maintenance free condo living. The front gate puts you minutes to Vanderbilt Beach, Barefoot Beach, Delnor-Wiggins Pass State Park, dozens of fabulous restaurants and the hottest spot in Naples - Mercato. Membership to Imperial Golf Club's (2) 18-hole championship golf courses is optional. Bermuda Greens Imperial Golf Estates Condos: C.16117 - What a View!! This gorgeous second floor condo is an end unit with spectacular lake and golf views from the spacious lanai. The storm impact windows allow for abundant natural light to infiltrate the beautiful condo. The updated bathrooms and kitchen feature granite counter tops and stainless steel appliances. The main living area has vaulted ceilings and large tile floors. Convenient storage under front stairs to unit. Located in the highly sought after Imperial Golf Estates with low fees and wonderful amenities. This is a must see!! Don’t miss this one! It won’t last! Manors Of Regal Lake Imperial Golf Estates Condos: Exceptional condition, move in ready, 1st floor (NO STEPS!) condo ready for a new owner. Stainless steel appliances, granite, tile backsplash, crown molding, recessed lighting, custom tile, upgraded bathrooms, designer fans and fixtures. You must see this unit in person. Desirable southern exposure, large lanai to enjoy coffee in the morning and a well deserved beverage in the evening. Manors of Regal Lake is the premier condo association in Imperial. The Imperial front gate puts you minutes away from several world class beaches including Vanderbilt Beach, Barefoot Beach & Delnor-Wiggins Pass State Park and dozens of fabulous restaurants and the hottest spot in Naples - Mercato. Membership to Imperial Golf Club's (2) 18-hole championship golf courses is optional. Bermuda Greens Imperial Golf Estates Condos: This is a well kept beautiful furnished end unit in Bermuda Greens located in Imperial Golf Estates. This condo was originally a 3 bedroom but was converted into a very large 2 bedroom unit. Eat-in Kitchen with breakfast bar and a very large living/dining area for entertainment. This community has something for everyone, pool, community club house, bocce courts and optional membership to the Imperial Golf Club with 2 championship courses. It was recently painted and a new slate roof installed. Bermuda Greens is just minutes away from the beaches, restaurants, and shopping. Manors Of Regal Lake Imperial Golf Estates Condos: Coach Home in great North Naples location...Manors of Regal Lake in Imperial Golf Estates Tenant in place until Aug if your an investor. This beauty has a beautiful lake view with 3 bedrooms and 2 baths. An open floor plan adds to the enjoyment of this unit. This unit is just minutes to the two most popular beaches in the area Vanderbilt Beach and Bonita Beach...Enjoy the State Park at Delnor Wiggins Pass. This great North naples location boasts the best in shopping and dining at the hottest spots in Naples...Mercato! Membership is available to the two championship Golf Courses at Imperial Golf Estates. Bermuda Greens Imperial Golf Estates Condos: This well maintained lakeside condo in Bermuda Greens is located within the Imperial Golf Community, golf membership is optional. 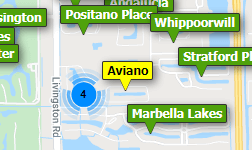 The North Naples location provides easy access to amazing restaurants, Whole Foods, The Mercato, parks and beaches. There are several benefits to this first floor corner unit condo. Entertain in a large combined living and dining room with glass sliders allowing maximum light and serene lake views. The spacious floor plan splits a sizable master bedroom from the other large guest rooms for maximum privacy. A walk-in closet, storage/utility closets, oversized laundry room, new air conditioner and partially furnished space makes this home a great value. Bermuda Green residents enjoy a clubhouse and community room with a large heated pool and spa/hot tub. This is a non-smoking community. Imperial Gardens Imperial Golf Estates Condos: Gorgeous updated condo, shows like a model, with beautiful views of lake and golf course. Remodeled kitchen with granite countertops and newer stainless steel appliances. Breakfast bar. Vinyl planking floors through out unit. Master and guest bedrooms are very spacious with walks-in-closets, and sliding glass doors that lead out to screen in balcony with great views. Hurricane shutters. The home has a carport with extra storage and another assigned parking space. Optional Golf and social memberships to Imperial Golf Club. Close to Mercato Entertainment, Shopping and Beaches. Imperial Gardens Imperial Golf Estates Condos: This “turn-key” condo will welcome you as soon as you step into the foyer. Spacious, bright and clean is the first impression, followed by an impressive view from the lanai of the lake and golf course. Such a refreshing and tranquil setting will be yours on the lanai, and sliding glass doors ensure privacy when needed. Hurricane shutters provide security. Cable and internet included. Features worth noting - a new roof, new carpets, vaulted ceilings, granite kitchen counters, newer appliances, appealing neutral colors, and all furnishings. The carport situated across from the community pool has an extra storage locker and is only steps away from the elevator. This small community is well known for its wonderfully active social club, friendly residents, and a nice clubhouse. Imperial Golf Course Estates is a premier golfing community, which also offers to those who wish, golf equity and social memberships to the main clubhouse. Imperial Golf Course Estates is well situated, just off Tamiami Trail, between Bonita Springs and North Naples which ensures quick access to beaches, great malls and restaurants, fitness clubs, theaters, and Artis Naples’ Art Gallery and Symphony Hall. Abbey On The Lake Imperial Golf Estates Condos: Beautiful 2nd floor end unit, spacious 2 bedrooms 2 bathrooms at Abbey on the Lake. Tastefully renovated, it will delight you to awaken each morning and enjoy the view. The gated community of Imperial Golf Estates is the ideal North Naples location! LOW, LOW fees, only a few steps to the expansive community pool which also overlooks the lake. Imperial Golf Estates has two great 18 hole golf courses with some of the best deals in Naples. Golf or a Part Golf or Social membership is optional. Bermuda Greens Imperial Golf Estates Condos: WOW! PANARAMIC SOUTHERN EXPOSURE VIEW OF LAKE AND FOUNTAIN. THIS UPDATED CONDO IS LIKE NEW FEATURING NEW KITCHEN APPLIANCES, GRANITE COUNTERS AND RESURFACED CAIBINETS, NEW AC, NEW WASHER AND DRYER AND CABINETRY IN LAUNDRY ROOM, NEW PAINT, NEW CARPET, NEW LIGHTING AND THE LIST GOES ON. LOCATED STEP FROM THE CLUB HOUSE, POOL AND HOT TUB. HURRY AS THIS ONE WILL NOT LAST LONG. Westgate At Imperial Golf Estates Imperial Golf Estates Condos: A 2nd floor unit with vaulted ceilings, 2 bedrooms plus den, and 2 baths,making this perfect for the a seasonal or full time resident. Well located in North Naples off US 41 in a gated community. One can choose their beach within minutes drive, whether it's Vanderbilt Beach, Barefoot Beach, or Delnor-Wiggins Pass State Park. Stores such as Trader Joe's and numerous restaurants are same same short drive away. The community offers tennis, pickleball, 3 community pools, and more. An assigned parking space is right in front of the unit. Membership at Imperial Golf Club (two 18-hole championship golf courses) is optional. Westgate At Imperial Golf Estates Imperial Golf Estates Condos: Great value, priced aggressively for a quick sale! Meticulously clean and fresh, this first floor residence offers a breathtaking, tranquil view of the lake and the fishing pier!! Spacious 2 bedroom, 2baths residence with two walk in closets in the master and a beautiful view of the lake, linen closet and double sinks, pantry in the kitchen, newer roof and the A/C unit and the carpet. This unit is located in one of the newest buildings and is in a fantastic location, near the beaches and Mercato, Trader Jo, etc! The community offers so many amenities! Enjoy your time here, whether you like to golf, swim or play tennis, this home offers it all! Very low fees! Hurry, won't last. Westgate At Imperial Golf Estates Imperial Golf Estates Condos: Easy living in this Westgate at Imperial Golf Estates condo. This first floor home with spacious rooms is meticulously maintained and tastefully decorated. Move in ready. Lake view from just about every room. Relax on your lanai and enjoy nature and the beauty of the lake. Westgate offers 3 pools, community clubhouse, fitness center and tennis courts. Membership is optional to Imperial Golf & Country Club (two 18-hole championship golf courses). Fabulous North Naples location convenient to beaches, shopping, dining and entertainment! Westgate At Imperial Golf Estates Imperial Golf Estates Condos: C.15697 **PRICE DECREASED! ONLY TRUE 3 BDRM AVAILABLE. ** Meticulously maintained move in ready second floor END UNIT condo in highly desirable North Naples community Westgate at Imperial Golf Estates! THREE BEDROOMS/2 Baths with one assigned parking space right in front of the stairs to the condo. Vaulted ceilings, tile, and PECAN HARDWOOD FLOORS. The owners were given written permission by the community assn. to install cork underlayment/pecan hardwood floors (wood floors are not allowed on the second floors in Westgate, so this is a rare exception). Newer refrigerator, AC, and water heater. Westgate offers 3 POOLS, tennis court, a small fitness center, and a clubhouse. Membership is optional to Imperial Golf & Country Club. Westgate is located close to the front gate off Tamiami Trail.. Convenient North Naples location, just a short drive to beaches, shopping, and entertainment to the south, and to the north. Westgate At Imperial Golf Estates Imperial Golf Estates Condos: Hard to find...2nd floor condo featuring soaring ceilings, 2 Bedrooms and Baths, open Great Room floor plan ideal for entertaining, updated appliances, screened Lanai overlooking private landscaped area and pool. Lanai has electric hurricane shutters. Gated community with 3 swimming pools, tennis and pickleball (golf membership optional). Ideal North Naples location with easy access to Vanderbilt Beach, Barefoot Beach, shopping, dining and entertainment venues. Low HOA fees...easy living! Westgate At Imperial Golf Estates Imperial Golf Estates Condos: Location is key and Westgate at Imperial Golf Estates 1st floor condo is conveniently located in North Naples with a very short drive to the beaches, Mercato, shopping, restaurants, Publix, Whole foods, airport and the best of Naples entertainment!! It’s a wonderful community with friendly neighbors in a well-managed condominium. Sit anywhere in this condo and enjoy the peaceful lake view from the great room, kitchen, lanai or the master bedroom. Well maintained 1st floor condo featuring 2 bedrooms, den, 2 bathrooms, lanai overlooking lake, laundry room and DETACHED CARPORT. The Den/office has a Murphy bed for future guests. Tile throughout the home except the two bedrooms. The inside was recently painted in December 2018. The air conditioning unit and water heater were installed new in March 2017. Guard gated golf community offering various private membership Options. There are 3 pools, tennis court, fitness center, pickleball, and a clubhouse. Membership is optional to Imperial Golf & Country Club (two 18-hole championship golf courses). Westgate community is located close to the front gate off Tamiami Trail and you also have access to an exit or entrance through Livingston rd. Abbey On The Lake Imperial Golf Estates Condos: Location Location!!! Less than 2 Miles from the Beach & the Mercato luxury shopping center, which includes shopping and dining. First floor condo has: 1168 Square Feet, 2 Bedrooms and a Den, renovated bathrooms, and new appliances. Abbey on the Lake is one of best location on North Naples, this condo also included a full side by side slider door on the lanai with impact glass , enjoy this coming Holidays close to the best shopping center on Naples Florida. Call me for a private showing. Abbey On The Lake Imperial Golf Estates Condos: Spectacular lake, pool and fountain view from this sunny and spacious Turnkey furnished 2BR 2BA plus den unit. Newer Rheem A/C & Heating unit, water heater (2012) tile floors throughout. Kitchen with Whirlpool cooktop stove and built-in microwave, Bosch dishwasher, newer Hot Pointe refrigerator (2016) and trak lighting. Full sized washer and dryer in closet in kitchen. Den is adjacent to the kitchen. Unit is tastefully furnished. Master bath with walk-in shower. Guest bath with both tub and shower. Comfort level toilets in both baths. Master BR has huge walk-in closet. Guest BR has tile floor that looks like wood. Glass sliders from LR to screened lanai overlooking the lake. Sun shades over the screens pull down to protect from the afternoon sun. Step outside and cast your line to catch some fish for relaxation. It is catch and release policy. Imperial golf complex is gated with a guard. Golf is optional. Unit is close to shopping, dining, art galleries, live theater and pristine beaches of Gulf of Mexico. Westgate At Imperial Golf Estates Imperial Golf Estates Condos: Motivated seller has moved out & does not want to become a landlord! Well cared for condo in Westgate at Imperial. Amazing location convenient to the beach, restaurants, and shops in both Naples and Bonita Springs. 2 bedroom 2 bath plus fully enclosed den that could be used as a 3rd bedroom. Large utility room with full size washer and dryer and plenty of room for storage. Split bedrooms with a master suite including master bath with walk in closet. Second bedroom and bath hallway with pocket door to create a second private suite for guests. Vaulted ceilings in large open spacious living room and large screened in lanai backs to foliage for privacy while still overlooking one of the 3 community pools. Assigned parking spot immediately in front of unit and lots of guest parking in immediate vicinity. Ready for immediate move in and partial furnishings and house wares available if desired. Optional golf membership with two champion 18 hole courses available but not required. Abbey On The Lake Imperial Golf Estates Condos: First floor unit with lake view. HURRICANE WINDOWS AND DOORS (original cost $11,800). Updated eat-in kitchen with wood cabinets and granite. Updated baths with granite. Southern exposure. Crown molding throughout. Assigned parking spot (#102), is directly in-front of the unit. Newer carpet. Drinking water filtration system. Enjoy this North Naples location in a 24-hour gated community. Easy access to Delnor Wiggins State Park and Vanderbilt Beach. Coconut Point Mall located just to the north. Imperial Golf Estates equity golf at two championship golf courses. Tennis is also available. Low condominium dues make this the perfect winter getaway. Need professional assistance selling your property at Imperial Golf Estates Naples? Find out how an Area Specialist can help to generate more property exposure in order to get the most money for your investment in the least amount of time.